RIO DE JANEIRO, Feb 27 2015 (IPS) – In Brazil, one of the countries with the highest concentration of land ownership in the world, some 200,000 peasant farmers still have no plot of their own to farm – a problem that the first administration of President Dilma Rousseff did little to resolve. In its assessment of the situation in the 2011-2014 period, the Brazilian Pastoral Land Commission (CPT) found the worst progress in that period in terms of agrarian reform in the last 20 years, one of the church-based organizations coordinators, Isolate Wichinieski, told IPS. “There was a fall in the numbers of new rural settlements and of land titling in indigenous territories and ‘quilombos’ (communities of the descendants of African slaves), while on the other hand, investment in agribusiness and aggro-industry grew,” said Wichinieski. Social movements had hoped that Rousseff, who belongs to the left-wing Workers’ Party like her predecessor LuizInácio Lula da Silva (2003-2011), would take up the banner of democratization of land ownership. But her government’s economic policies have focused on incentives for agribusiness and aggro-industry, mining and major infrastructure projects. According to the CPT report, during the first Rousseff administration (2011-2014), 103,746 families were granted land under the government’s agrarian reform program. But that figure is actually misleading, because in 73 percent of the cases, the land settlement process was already in progress before the president took office, and the families had already been counted in previous years. The government reported that in 2014 it regularized the situation of just 6,289 families – a number considered insignificant by the CPT. As a result, during the presidency of Luis Henrique Cardoso (1995-2003), 540,704 families were given land, and 614,088 were settled on farms during Lula’s two terms (2003-2011), according to the National Institute for Colonization and Agrarian Reform (INCRA), which reported that 9,128 rural settlements have been created since 2000. In order for land reform to be effective, the CPT argues, more settlements must be created and the concentration of rural property ownership must be reduced in this country of 202 million people. But the organization does not believe Rousseff is moving in that direction, Wichinieski said. 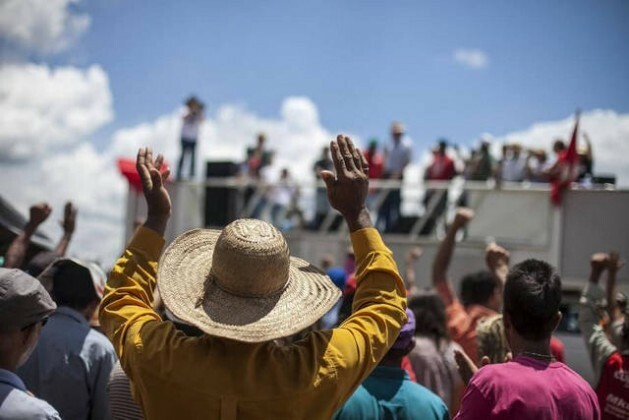 Agrarian reform was not on the agenda of the campaign that led to the president’s reelection in October, and the new government includes names from the powerful rural caucus in Congress, which represents agribusiness and aggro-industry. The agriculture minister is former senator Kátia Abreu, the president of the National Confederation of Agriculture. She surprised people when she stated in a Feb. 5 interview with the newspaper Folha de São Paulo that there are no “latitudinal” or large landed estates in Brazil. In November, a court ruled that Oliveira has the right to recover the property. 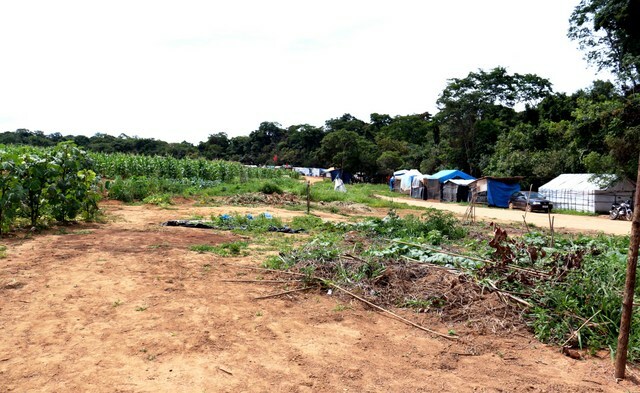 But the MST leader is confident that despite the risk that the families will be evicted, they will be successful in their bid for the Santa Mônica estate to be expropriated under the land reform program. “The purchase of the property was notarized. The MST is not telling the truth. We advocate a negotiated, peaceful solution. Productive, occupied land can’t be expropriated, and there is no interest in selling the property,” he said.